In 2018 there were over 800 indies released theatrically, but most had playdates of only a few screenings, and the indie share of the marketplace was relatively flat. On the other hand, the indie films that did well did well indeed. Of the 98 films picked up at Sundance in 2018, Hereditary, Searching, Won’t You Be My Neighbor?, and Sorry to Bother You together grossed more than $100 million. Add in the others, and grosses exceeded $200 million. On the third hand (oh yes, in the indie world, there are many, many hands), even with these few successes, the distribution marketplace is terrible. Amazon and Netflix, which a few years ago seemed to be indie saviors with their significant buys, have retrenched; they have announced that they are looking for less independent and “more commercial” fare. And while Amazon, Netflix, Hulu, and Facebook will spend more than $16 billion on content this year, in aggregate, only a tiny fraction will go to the indie arena. The big platforms are looking for marquee series and big names that will attract viewers, and they are spending for it – Facebook is spending up to $2 million per episode, with Amazon and Netflix spending up to $10 million per episode, for series. Meanwhile, on the fourth hand, from the studio perspective, indies do not seem to matter at all. They certainly don’t economically. Disney’s revenue was $59 billion last year, which exceeds total domestic box office ($11.9 billion) and total international box office ($29.8 billion) combined. The studio game is a chessboard of behemoths, like the Kaijus and Jaegers of Pacific Rim. Fox, acquired by Disney last year, had to be sold, because Fox was too small to stand alone in the new world of audience-owning giants: Amazon, Netflix, Apple, Facebook, and Google. This year, the studios and big content platforms will likely find themselves playing a defensive game, as they hope to avoid an entertainment industry-wide profit squeeze, brought on, in large part, by the large debt burden they are carrying. Hence indies will, once again, be barely worth big platforms’ economic attention. But the studios should be paying attention to what happens in Park City this week. 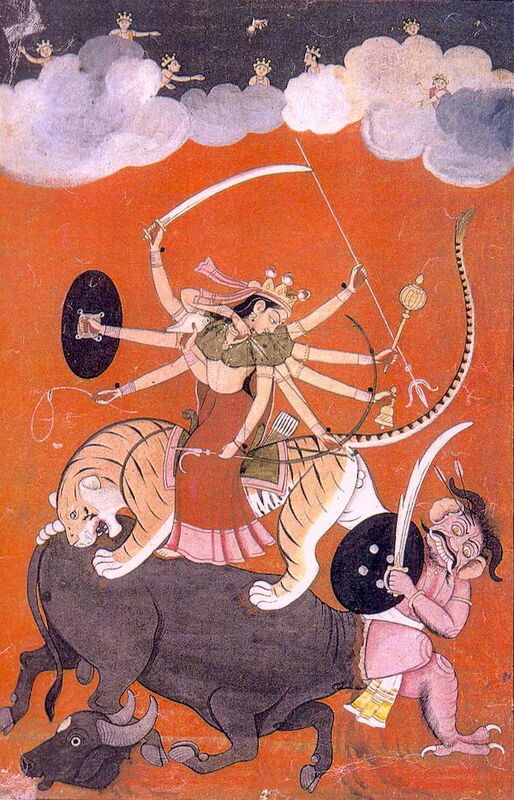 Now we are looking the Hindu deity Durga, because there is yet a fifth hand. Although studios and big platforms pay scant distribution attention, and indies represent only negligible economics in the big picture, from a creative standpoint is has been an amazing year for indie filmmakers. The two highest grossing movies were helmed by directors who, only a few years before, were cutting their teeth and Slamdance and Sundance: Ryan Coogler (Black Panther) and the Russo Brothers (Avengers: Infinity War). How ironic that the Marvelverse is where some indie filmmakers achieve their superpowers. We can look at indie films though the lens of Sundance and Slamdance. Unlike big studio movies, which have the MPAA to gather data, indie films have no central repository for statistics, nor collective advocacy group. So we can collect data from the two biggest indie festivals. The Sundance Film Festival is an excellent bellwether for independent films as a whole, and, with complementary information from Slamdance, we can begin to see an independent film bigger picture. In 2019, 14,259 projects were submitted to Sundance – once again, a record. 2,293 were dramatic features and 1,725 were documentary features, which, in aggregate, according to our estimates, represent a financial investment of nearly $3 billion, and the creative labor of more than 400,000 people. See Sundance Infographic. Slamdance had 6,233 films submitted – also a record – and 3,092 entries for its screenplay competition; plus 102 digital, interactive, and gaming (“DIG”) project candidates. See Slamdance Infographic. By these metrics, independent filmmaking is aggressive and robust. How does film school affects these two festivals? Fifty-four percent of the films accepted at Sundance were directed by film school graduates; and 60% of the Slamdance films were. Does film school help you get into a major festival? The odds against acceptance are always long, given the volume of submissions, but movies from people who have had some formal training do have a slight edge. But the most important trend is that indie filmmakers must also assume the role of Chief Marketing Officer – whether they want to or not – as they become de facto self-distributors (even when they have deals with distribution companies, if the distribution companies are smaller ones). Newer distribution pathways, such as Array, Singular DTV, and ro*co, are making their marks with their collaborative, artist-centric models. And through it all, with the infinite fingers of multiple hands (yeah, that sounds like one of the Chinese films that inspired Tarantino), independent films will continue to wend their way, battered, creatively inspired, occasionally financially triumphant. Looking at the diverse and well-chosen Slamdance and Sundance selections, and based on conversations we have been having with Learners and facilitators excited by what MediaU will be doing, I predict the quality of creative work will be much higher than usual this year and beyond. MediaU sponsored the research for this article and the Sundance and Slamdance Infographics. Top image: Jimmie Fails and Jonathan Majors appear in The Last Black Man In San Francisco by Joe Talbot, an official selection of the U.S. Dramatic Competition at the 2019 Sundance Film Festival. Courtesy of Sundance Institute | photo by Peter Prato / A24. Previous PostWhat's the Least Expensive Way to Give Your Film Style?